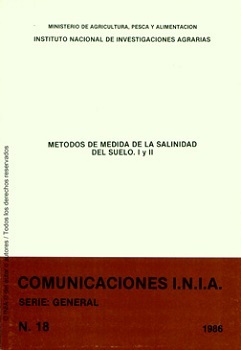 In the first part of this work, an in-depth literature review was made of the parameters for measuring salinity as well as the different procedures for its measurement in the soil, which are classified in soil extracts, suction probe, salinity sensor, four probe sensor and electromagnetic sensor. In the second part, a comprehensive experimental evaluation of these procedures, except for the electromagnetic sensor, was performed during the infiltration, redistribution, evaporation and subsequent leaching processes. Physical Description : 172 p.; 17x24.